The River Brathay runs out of Elterwater lake on its way to Lake Windermere. A footpath leads beside the river, through water meadows and pasture lands. On a summer evening the sun lights up Loughrigg Fell on the north east side of the valley. 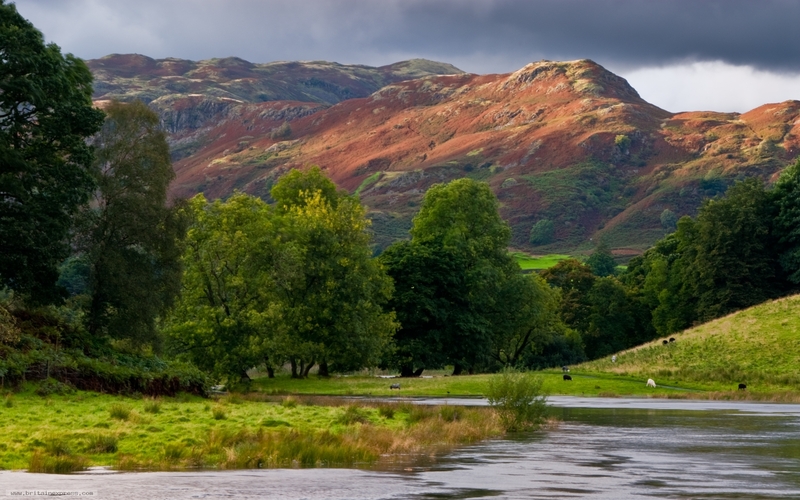 This is one of my favourite walks in the Lake District, and perhaps you can see why from this photo.